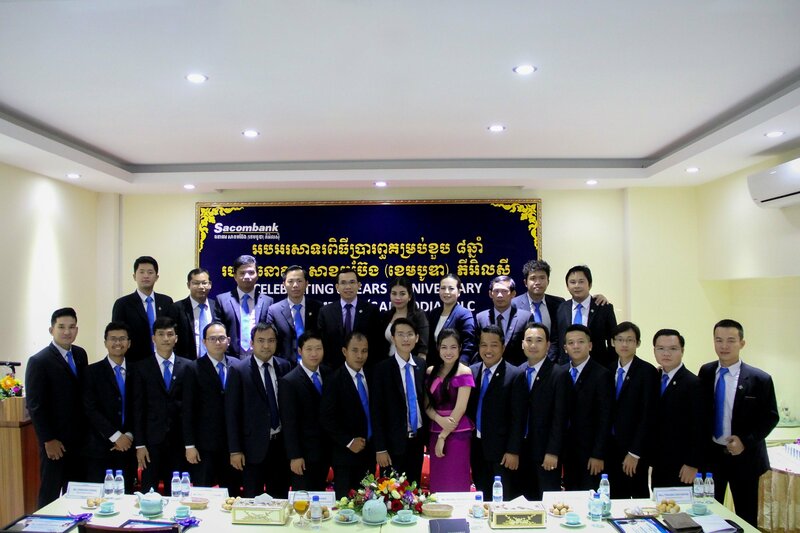 Phnom Penh, 23rd June 2017, Sacombank (Cambodia) Plc. 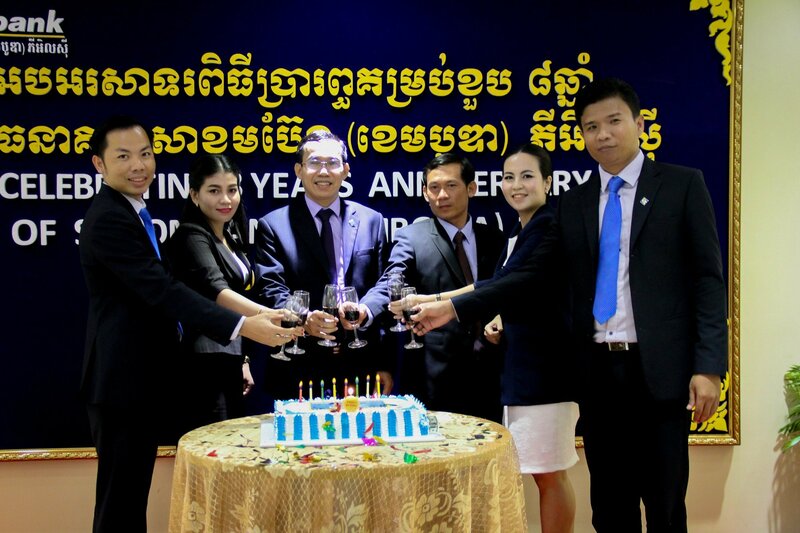 celebrated its 8th anniversary of establishment in Cambodia (23/06/2009 – 23/06/2017) at Sacombank Cambodia Head Office addressed #60, along Preah Norodom Blvd. 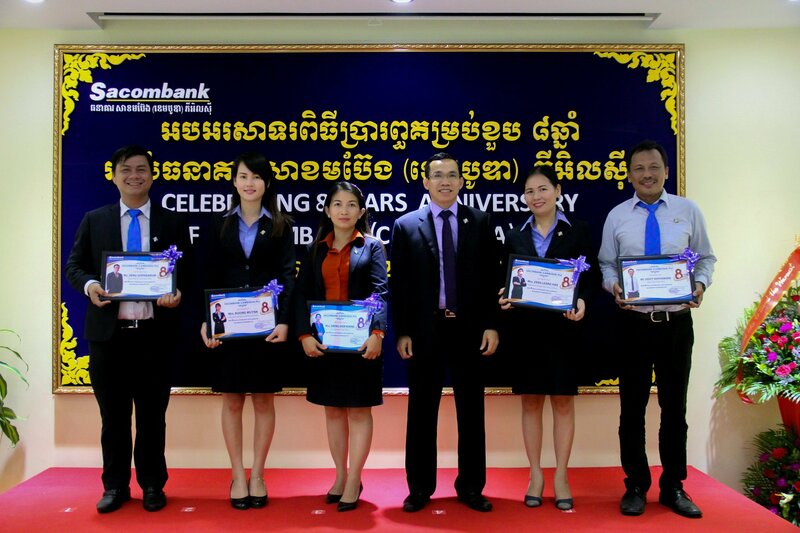 The celebration program was participated by Board of Management, and all employees of Sacombank Cambodia with traditional dancing program, and handed appreciation certificates to loyal staffs who have been serving Sacombank Cambodia with hard work and commitment. In addition, the bank has hosted a Gala dinner that allowed staffs and management team to have friendly dinner together. 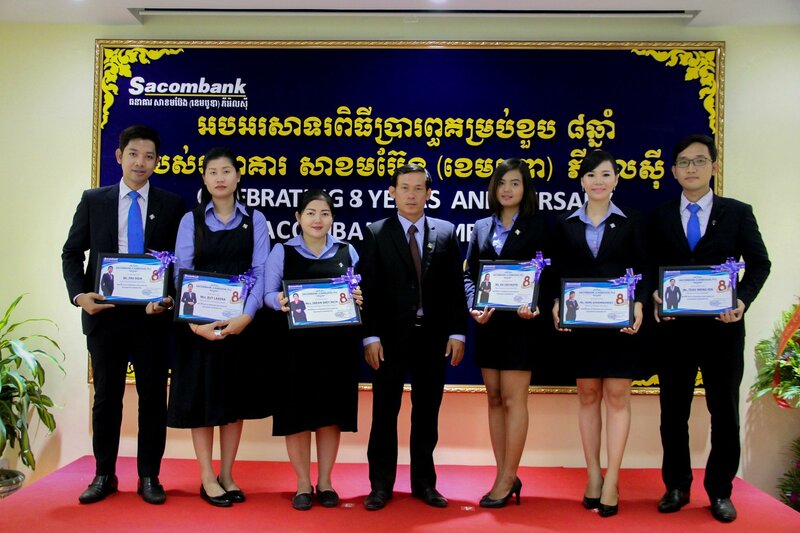 It’s been 8 years since Sacombank started its operation in Cambodia Credit Market. 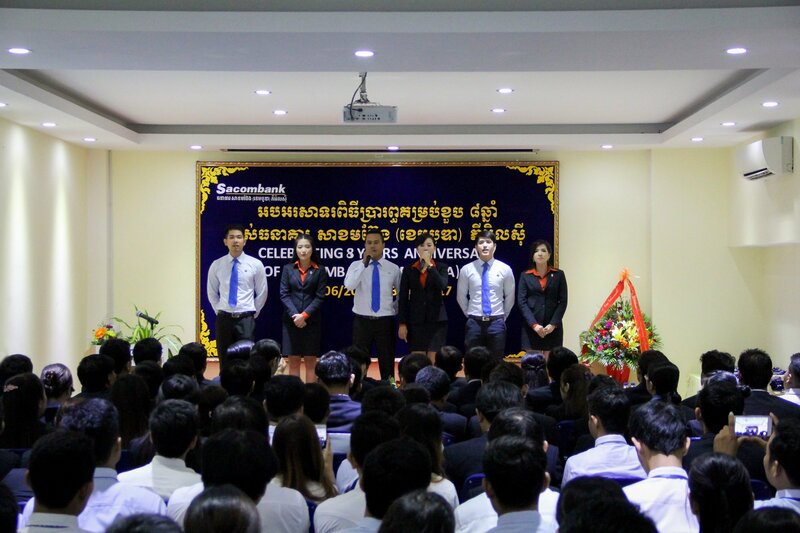 Starting from only 1 office in 2009, Sacombank Cambodia currently has 1 Head office, 5 branches located in Phnom Penh, 1 branch located in Takhmao, Kandal Province, and 1 branch located in Kampong Cham province. 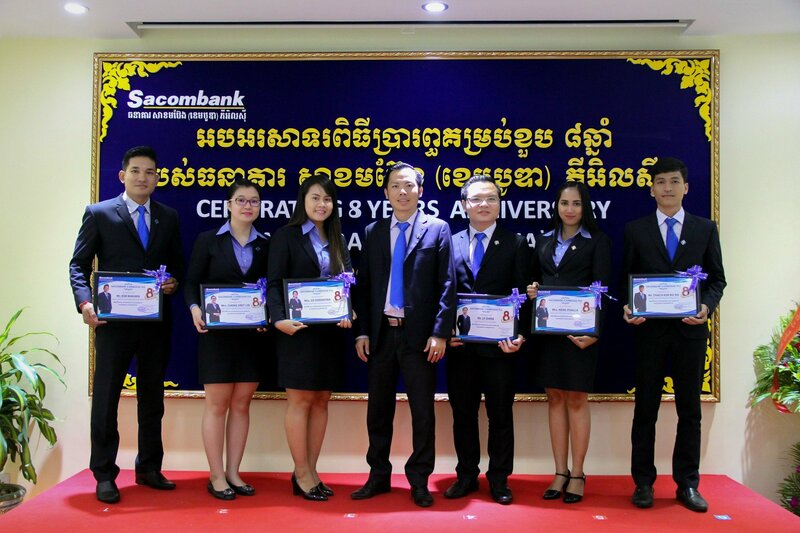 Because of receiving too much support from the customer and economic potential of Siem Reap Province, Sacombank Cambodia is preparing to open one more branch located at Siem Reap City in September, 2017. 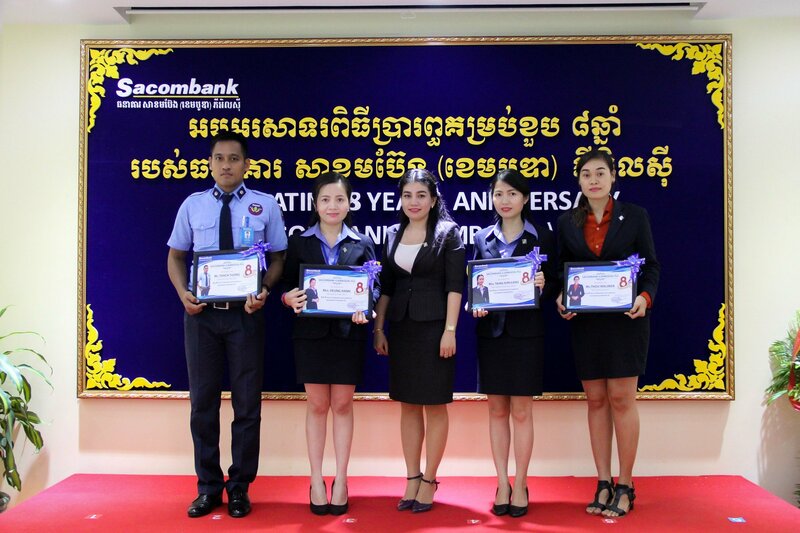 This significant growth hugely depends on support from customers and Sacombank Cambodia would like to thanks to the customers for all the support and trust and we strongly hope that you will continue to support products and services of Sacombank Cambodia.